Slither Birds - The latest Slither game at GameVui, with its new style, it's the predatory snakes Slither with the appearance of cartoon character Angry Bird - angry bird. 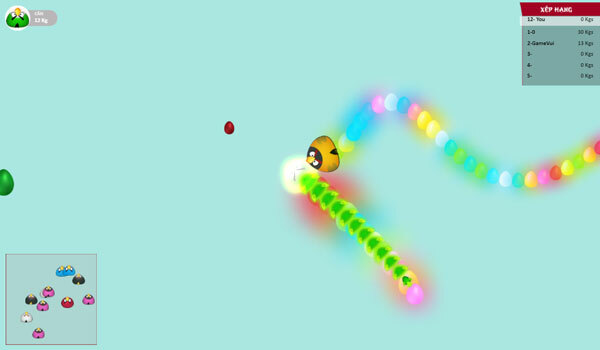 With the play style unchanged, the player's task in this game of Snake hunting Angry Bird is to collect energy pieces to reach a larger size, try to destroy other Slither snakes and maintain and survive on Map as long as possible. 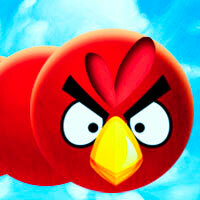 Help the big Angry Bird style snake snake, keep the top ranking of any challenge! Game Slither Birds played 12 times.